Catherine Williamson joined the First Unitarian Church of Wilmington staff in July 2007 as the Director of Children & Youth Religious Exploration. With nearly 100 students under her care, Catherine makes sure that each age group has the appropriate curriculum and supplies, events and involvement in worship and church life to really give them a strong foundation in the UU Tradition. As DRE, she is the conduit between our young members and the church community at large. Catherine is a native Delawarean and grew up in North Wilmington. She attended high school in Morgantown, WV, but returned to the area for college. Catherine received a Bachelor of Arts and Science from the University of Delaware in History Education. Catherine has worked with children and youth in a variety of settings including overnight and day camps, preschool and after school care. She also worked as an elementary school teacher and tutor. Before joining First Unitarian Church of Wilmington, Catherine served as the Director of Religious Education for two years at the Unitarian Universalist Society of Mill Creek. 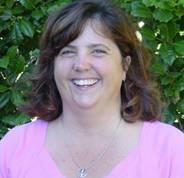 Catherine currently lives in the Pike Creek area with her husband, Brian, and their two sons, Kyle and Patrick. They are active members of the Unitarian Universalist Society of Mill Creek.